Izzy grew up in the heart of New York City. Somehow a childhood playing ice hockey and longboarding through the streets of Manhattan led her to believe that the obvious next step in life was to go to college in Vermont and explore mountains. Izzy hit the ground running when she arrived to the Green Mountains, exploring all avenues of mountain travel, from rock and ice climbing, backcountry snowboarding, through-hiking and the occasional apple-picking excursion. Izzy quickly realized that she had an knack for teaching in these environments and became involved in her college’s outing club program. Through that program she gained experienced as a climber and instructor. 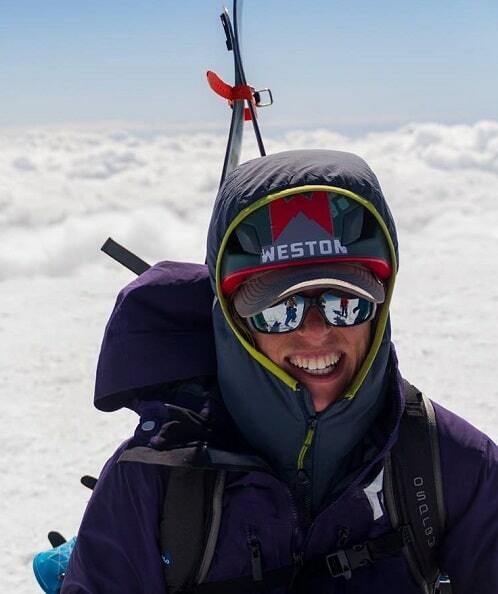 After college, and one too many repeats of John Denver’s “Rocky Mountain high”, Izzy blasted west to Colorado to work with the Colorado Outward Bound School. Over the next four years, Izzy spent hundreds of days in the field on 20+ day expeditions in CO, CA, UT and Ecuador, teaching teenagers and adults about climbing, mountaineering, backcountry skiing as well as effective communication, leadership and group dynamics in the wilderness setting. Looking to explore other avenues of the outdoor professions, Izzy began taking her AMGA guide courses. She found herself a job in the Tetons and is now guiding people year round in the alpine, rock and ski disciplines. Guiding combines Izzy’s two favorite actives; talking to strangers and climbing mountains. She is excited to share the mountains will her guests and provide them with a sense humor, comfort and trust.